Our Deerfield Chiropractor, Dr. Michael Bartell is Here to Help! Dr. Michael Bartell has been serving the community with superior chiropractic care for over 30 years. Located in the heart of Deerfield Beach, the office is convenient to anyone in Deerfield and the surrounding areas of Boca Raton, Pompano Beach, or Lighthouse Point. Unlike conventional medicine, which focuses on attempting to treat disease once it occurs, chiropractors emphasize the importance of removing nerve interference to activate the body's ability to heal itself, and reduce the risk of pain and illness in the first place. The chiropractic care offered at Bartell Chiropractic Life Center in Deerfield Beach is the right answer if you desire to achieve lasting health benefits, naturally and without chemical interference. Given the option, most people would prefer to be healthy and avoid illness if possible, and chiropractic care can help those people reach their health and wellness goals. For those patients who may already be in pain, chiropractic care offers a unique pain relief solution for many conditions, including back pain, neck pain and more! Pain relief and pain prevention are two of the reasons that chiropractic services have become so popular, both here in Deerfield Beach and around the world. We help people express their fullest potential of health and wellness by removing stress and nerve interference: allowing the divine creative intelligence to heal from within! We are proud to provide a state-of-the-art facility for the highest quality chiropractic care available. It is one of our top priorities to protect the well-being of our valued patients. We are confident that you will feel right at home in our office because we welcome all patients as if they were family. If you would like to make an appointment, please contact our office by phone or email. Our office facilitates communications and emergency calls, and appointments are always available, especially for new patients seeking help. Although many of our patients came seeking help with back pain, neck pain, headaches, or sciatica, many others with a wide variety of health issues are getting great results! If you live in the Deerfield Beach area, don't wait another second to begin your road to recovery! At Bartell Chiropractic Life Center, our chiropractic techniques can help patients rediscover the health and wellness they may have thought was long lost. For others, the chiropractic journey may offer a new sense of balance and wellness that was never before experienced. If you are ready to start living in full expression, call us at 954-426-3200 to schedule an appointment! People around the world are recognizing the benefit of seeking an alternative to traditional medicine; one that will help them achieve and maintain optimal health without requiring invasive treatments such as surgery. Please take the time to meet the chiropractor and friendly knowledgeable staff. We are wellness care professionals, and are dedicated to helping you achieve your wellness objectives. To fully understand the nature of your health, we recommend that you join our free website membership program. As a patient at Bartell Chiropractic Life Center we will personally tailor a chiropractic and wellness program specifically targeted to your needs using the least invasive yet highly-effective techniques and services. 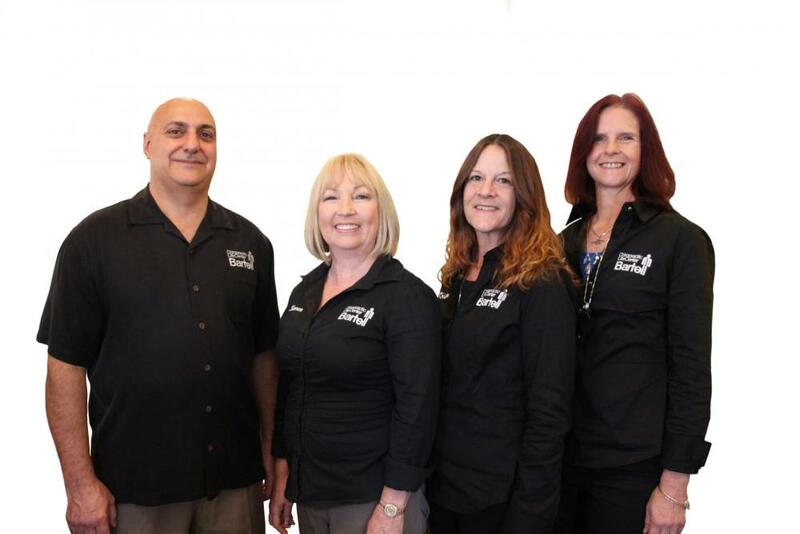 To Learn More about our Deerfield Beach Chiropractor or to Schedule an Appointment, Contact us Today!